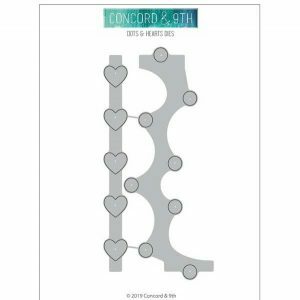 Dots and Hearts die set by Concord & 9th. 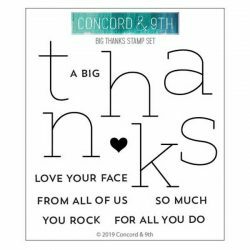 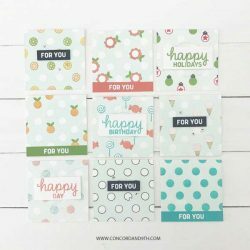 2 piece die set that coordinates with Dotted Fill-In stamp set. 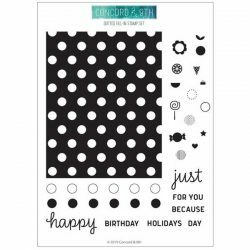 Dots die will line up with your stamped dots to die cut random holes a few times across your card. 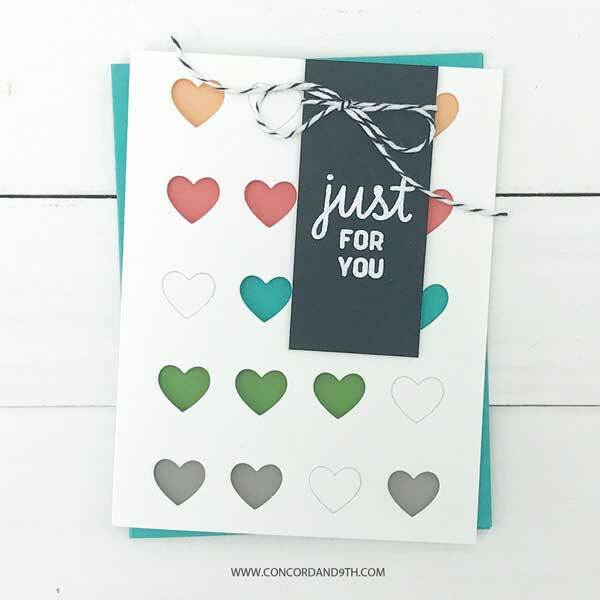 Use the ends of the die with the half circle and straight edge to line up against your stamped dots for alignment. You can also flip the dots die around for even more random die cut holes. 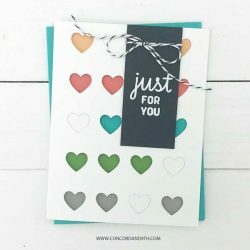 The strip of hearts also die cuts the polka dots going up and down, or use the fallout heart pieces to add hearts to your cards at random. 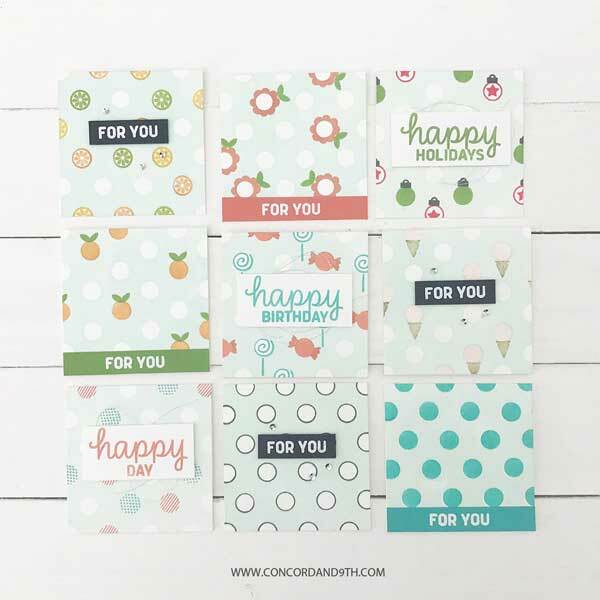 Dies can also be used on their own for designs on your card fronts, or even larger confetti for your shaker cards!